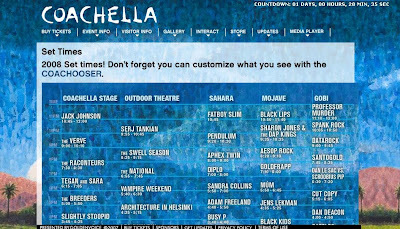 With Coachella 2008 fast approaching (tomorrow), you might be needing this, the Set Times. The organisers have even put together a bit of software to help you chose who you can see and when called Coachooser. If you're going, hope you have a great time.